Location! Location! Location! Lots of POTENTIAL in this well cared for home, just waiting for a new owner to make it their own. Nestled on a quiet side street, this home is steps from the river with easy access for all water activities including kayaking and paddle boarding. 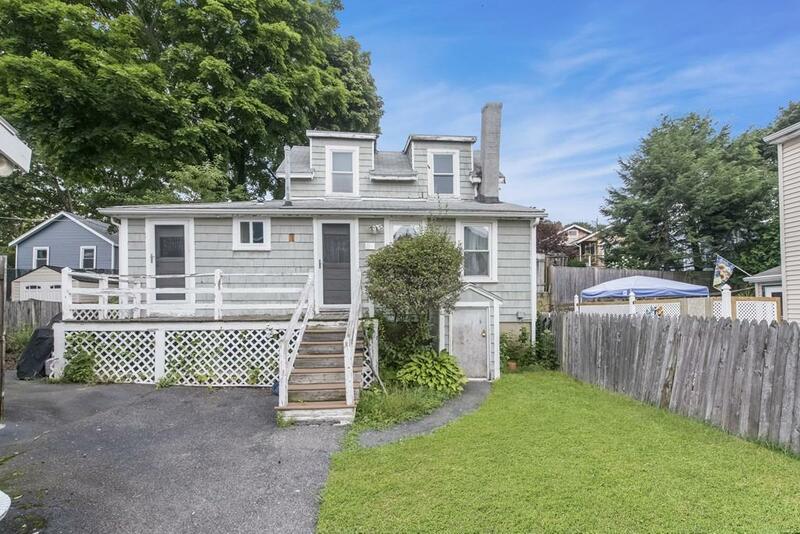 Truly a COMMUTERS DREAM, only minutes to 128 and a 0.5 mile stroll to the COMMUTER RAIL, also conveniently located near schools, parks, shopping and all downtown Beverly has to offer. The first floor features an OPEN CONCEPT living room, a bedroom, an updated EAT-IN-KITCHEN with GAS COOKING and a full bathroom. Upstairs boasts the master bedroom, complete with CATHEDRAL CEILINGS and a bonus room, ideal as an office or nursery. HARDWOOD FLOORS THRU-OUT! This home is a great opportunity for the buyer looking to add their finishing touches to a great home in a fantastic neighborhood. Solid home, solid VALUE, outstanding location; make it yours! Disclosures Current Lender Does Not Require Flood insurance. Two Sump Pumps in Basement. Exterior Trim Needs Repair/Paint.Sale Subject To Short Sale Approval.